At the beginning of the year we moved to Colorado. Josh got a job at Google in Boulder so we’ve all embarked on a big adventure. Before this move I have never lived more than an hour and a half from where I grew up. I had never visited Colorado until we came out in December to look for a place to live. I’m still adjusting and doing a lot of exploring. I’ve found a lot of great quilt shops and gone to some craft groups. I did get my sewing machine set up and one of the things I’ve worked on is a temperature quilt. There will be 12 rows and I’m using any fabric that matches the color for that day’s temperature. I finished the month of January and I’m really excited to see it grow. 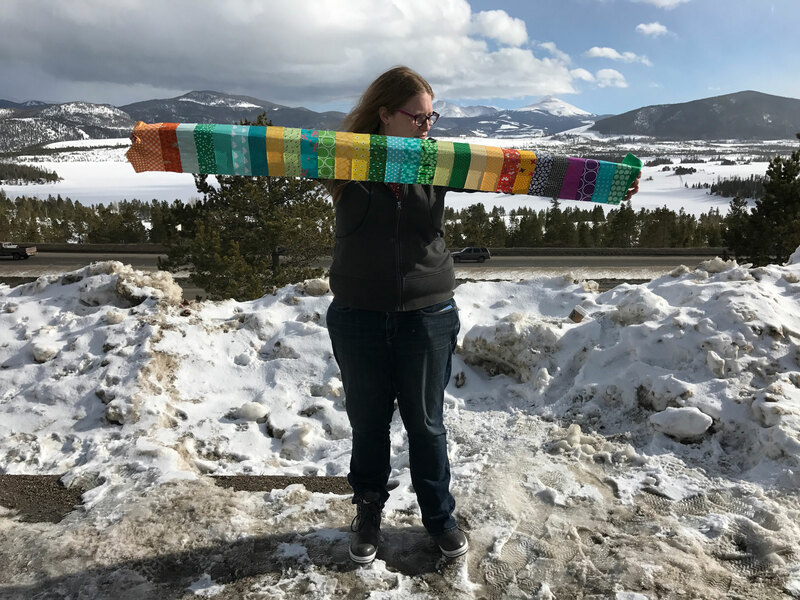 I started the quilt using Illinois temperatures and then switched to Colorado after the move. There’s only one <10 day and four 60 degree days. There's a 70 degree day in the forecast for this week, so it'll be interesting to see if I actually get to add some red to my quilt in February! My temperature scarf is very behind due to some knitting technical issues. 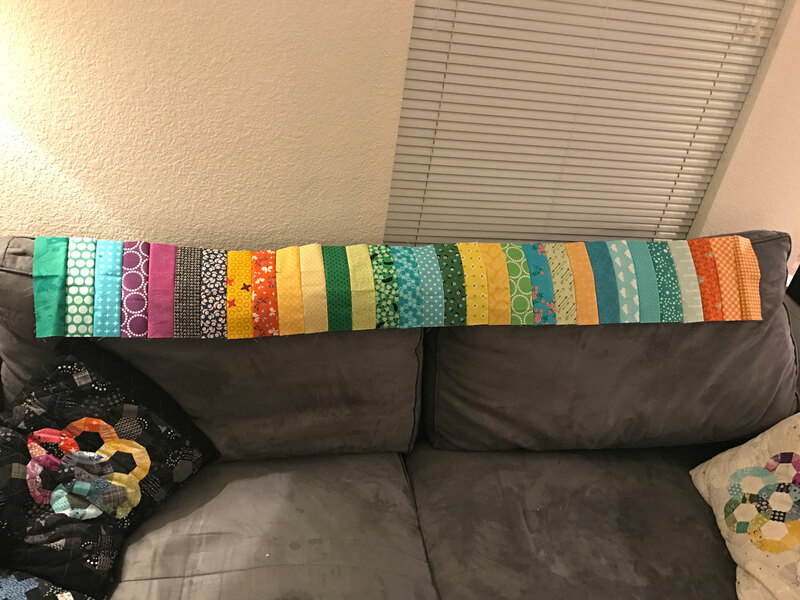 Hopefully I'll get caught up soon, but until then, here's the temperature quilt. Fun plan 🙂 How will you be compensating for the short months? The size of the blocks varies depending on the amount of days in the month. So in the end they’ll all be the same length.